Size 1S - 6-11/16” dia. X 1-13/16” ht. Size 2C - 7-3/16” dia. X 2-5/8” ht. Size 3C - 8-1/8” dia. X 3” ht. Size 3M - 7-7/8" dia. X 3" ht. Size 5C - 9-7/8” dia. X 3-1/2” ht. Size 115 - 9-7/8” dia. X 1-15/16” ht. Size 1C - 6-3/16” dia. X 1-5/8” ht. Size 1.5S - 6-11/16” dia. X 2-5/8” ht. Size 504 X 113 5-1/4" dia.X 1-13/16" ht. 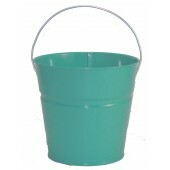 You may mix COLORS within a case on all Powder Coat Buckets. Minimum order for Powder Coat Bucket items is $150. 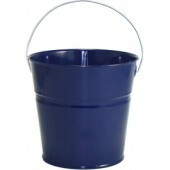 SALES TIP: Personalized Powder Coat Buckets are HOT! Monogram Powder Coat Buckets with vinyl letters (available at a local sign shop or many customers have their own machine to cut them) or paint pens for a personalized gift. Powder Coat Buckets are industrial buckets (frequently used for agricultural use) that have been powder coated. 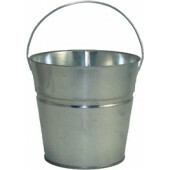 Because of the industrial intention of the buckets, they are not molded metal and any imperfections (bumps, creases, etc.) are a characteristic of their industrial design which is not a defect, but enhances their uniqueness and collectability. 2 Qt Powder Coated Bucket-Chocolate Brown - 318 - WHILE SUPPLY LASTS! We sell wholesale to the trade, only. 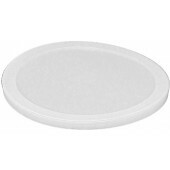 Minimums & qualifications are required -- consumers, please go to www.cookietins.com. © 2019 Holiday Tins & Containers. All Rights Reserved.